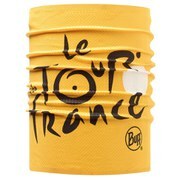 Multifunctional tubular headwear from BUFF's special edition 'Le Tour de France' range. 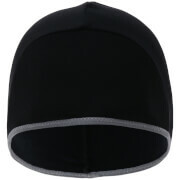 Crafted from a lightweight, microfibre fabric that is both wind resistant and comfortable to wear, the High UV BUFF boasts a black 'Reims' design. This versatile accessory is designed to keep you warm in the cold, and will wick away moisture and quickly transport it away from your skin to the outside layer of the fabric to keep you cool in warm conditions. 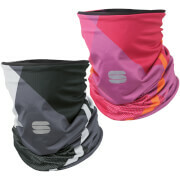 Wearable in a range of contexts, the tubular headwear can be worn as a neckerchief, mask, wristband, balaclava, scarf, headband, scrunchie, beanie, pirate cap, saharaine or bandana. - L.R. Comfortable,warm and soft. I like this neck warmer a lot. Great sale price and feast shipping. Seven business days to the states. Thank you PBK!